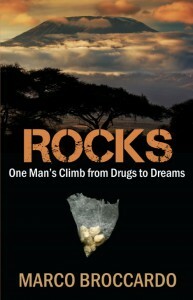 You will find a real life, gritty account of drug addiction in the pages of ROCKS – One Man’s Climb from Drugs to Dreams. 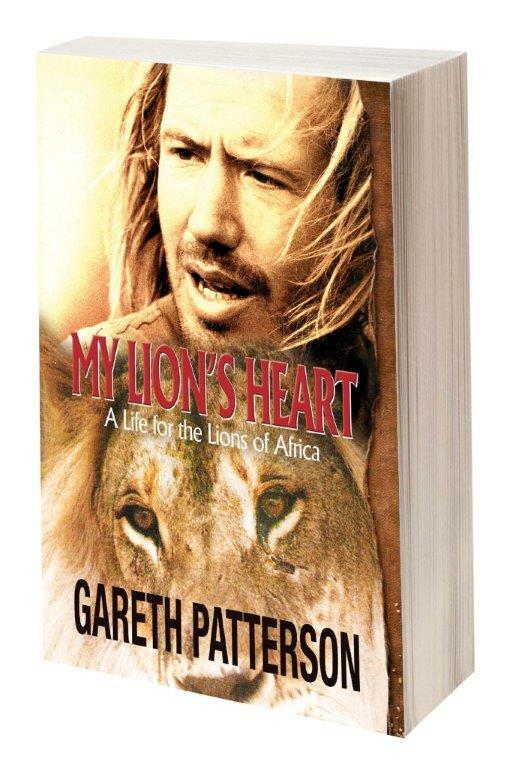 It will take you on a journey – from the despair of being rock bottom to the elation of the mountain-tops of Kilimanjaro. Marco was an ordinary boy from an ordinary family. He had parents who loved him and provided him with a safe and caring home. He had older sisters who doted on their little brother. He had friends and he played sport at school. When he experimented with weed and then with coke and ecstasy, he was no different from the circle he socialised with and partied with at weekends. Drugs made him feel great. What was the harm? 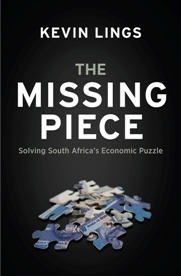 Marco is donating all royalties earned on the sales of his book to the non-profit organisation that he founded, called MOUNTAIN HEIGHTS. 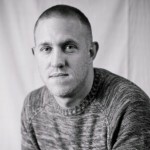 To read more about Mountain Heights, and the work that they do to help addicts recover, click HERE. 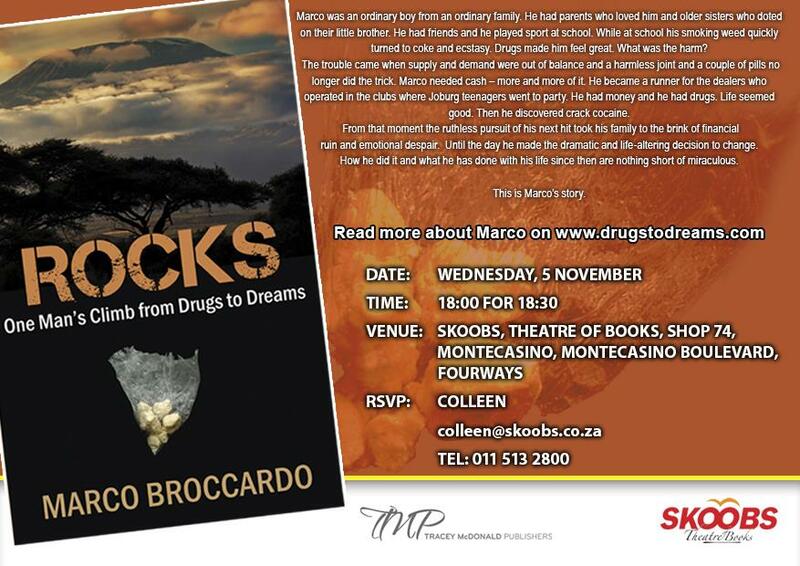 Marco Broccardo will be launching his book Rocks – One Man’s Climb from Drugs to Dreams on the 5th of November ’14 at Skoobs in MonteCasino (18h00 for 18h30), and you are invited. 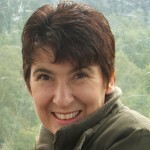 Author of the highly acclaimed novel My Children Have Faces, Carol Campbell is a journalist who has worked for the Argus, the Cape Times and the Mercury. She currently lives in Durban with her family. 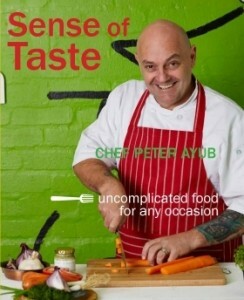 “Chef Peter”, as Peter Ayub is known, is head chef and owner of Sense of Taste, one of South Africa’s most distinguished catering companies. He has cooked for the late Nelson Mandela, for Jacob Zuma, Beyoncé and Jay-Z, Ruby Wax, as well as numerous international sport teams. 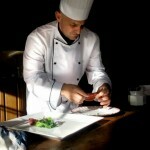 He is also a regular contributor to magazines such as TASTE and Food & Home, and has a slot on the TV programme Espresso. Ayub has also appeared on Morning Live. In this cookbook Natasha Sideris, a passionate cook, creator and founder of tashas restaurants, shares some of her favourite recipes and the most popular dishes from the café menus. This is a celebration of uncomplicated but delicious food, inspired by wonderful ingredients and the joy of sharing with friends and family. Here you will find all the classics you love and more, from Salmon Fish Cakes and Parmesan Chicken Couscous to summer-fresh salads and hearty winter warmers like the famous tashas Chicken Pot Pie. 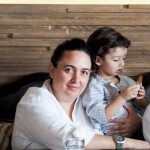 Natasha Sideris the creator and founder of the successful tashas restaurants. 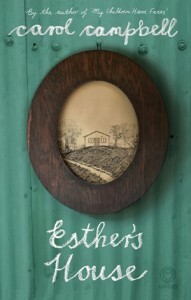 Natasha opened the first tashas in Atholl, Johannesburg in 2005. Since partnering with Famous Brands in 2008, another twelve tashas have opened countrywide and more recently, one in Dubai. 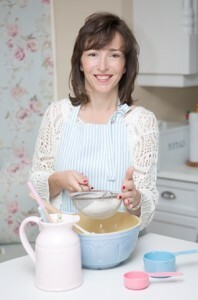 Natasha is a passionate cook with a talent for interior design, reflected in her beautiful, diverse restaurants. 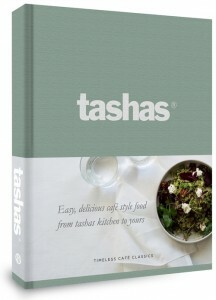 tashas: Timeless Café Classics is her first cookbook. Bubbly fine arts graduate Gené is desperate to get into the film industry. She moves to Cape Town and works as a photographer for a tabloid magazine. Gené starts moonlighting on film sets and finds herself on an Indian paint commercial where a big Bollywood producer offers her a six-month stint in his company in Mumbai. 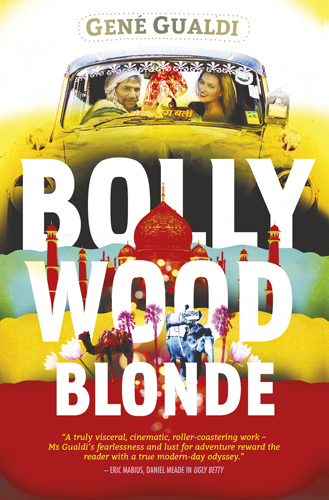 Unable to resist the lure and glamour of working in film and travelling the world business class, she leaps at the opportunity and soon finds herself on a plane headed for India. But there is no free curry in Mumbai. On arrival she realises she is expected to sleep with the producer, and slips into an uneasy, culturally challenging role as his new firangi girlfriend. The producer soon insists on transforming Gené into a size-6 blonde who he can show off on the red carpet. He puts her on a gruelling diet and stringent exercise regime. Once a teenage anorexic, this pushes all her deepest buttons of insecurity around her fraught body issues. Even though he is twice her age, overweight and often rude, she becomes obsessed with him, and is soon convinced that he is cheating on her. She goes on an all-out mission to make him love her. When it becomes clear the producer no longer wants her, she manipulates her way into turning her six-month work stint into a six-year epic stay. In her first year there, she works on 96 commercials and gets drawn into the rich cultural textures of India, experiencing India in a way rarely written about. With access to the who’s who in Bollywood, she rubs shoulders with India’s most famous glitterati, including the great Bly Avibath, India’s most famous actor. 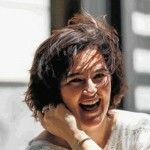 Gené also becomes close to Bollywood’s top director, Kiran, and they dream about making the film of her life, together. After a traumatic night with the producer in a London hotel, she realises it’s time to leave India and come home. Although she continues to return to Bollywood over the next few years to do films with her hero Bly Avibath, who insists that she work with him, the producer now has little hold over her. On the last film that Gené does with Bly she tells him about her dream to tell her story. He surprises her by buying her a MacBook Pro, which she ends up using to write this book. Africa has a wonderfully rich store of folk tales that have been passed down from one generation to the next. There are stories about how the world came into being, stories that tell of the relationships between human beings and between man and his environment, and of the lessons to be learned from everyday experience. The tales are like the fairy tales told all over the world, but they have a strong African flavour that is as real as the smell of rain on hot earth. Now in a revised format with an updated cover, The Best of African Folklore takes the reader into an enchanted world where animals can talk and humans are often changed into different forms, where magic is commonplace and reality is turned delightfully on its head. Despite numerous setbacks, things usually turn out all right in the end. Wicked and greedy people (and animals) come off worst and the good receive their just rewards. The gods are stern but fair, and every story has a moral for those who are wise enough to see it. The late Phyllis Savory was a well-established collector and reteller of African tales. 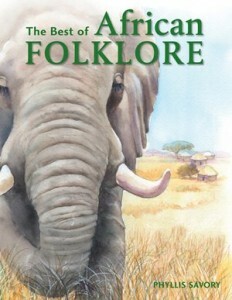 This, her last collection of folklore, comprises 39 stories drawn from all parts of southern Africa and further afield. 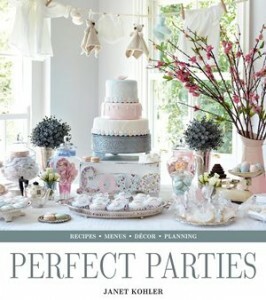 Illustrated with detailed drawings by Gina Daniel, it will delight adults as well as children. True to the spirit of African stories, the tales are especially suitable for reading aloud. These are just some of Eric Miyeni’s newspaper columns and opinion pieces, which have earned him friends and enemies alike. Known for his straight-talking frankness, his views on subjects ranging from politics and travel to big business and sport elicit strong responses. 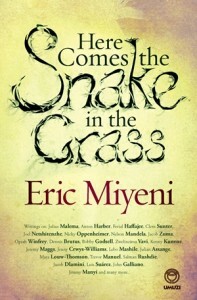 Here Comes the Snake in the Grass is a selection of Eric Miyeni’s columns and occasional writings covering a variety of topics, from Julius Malema, Oprah Winfrey and Brenda Fassie to the value of radio, the true cost of crime, the need for excellence in South Africa and the difficulty of finding love in the modern world. Some of the writings in this collection court controversy, addressing issues many want hidden from view; others provide glimpses of the writer’s softer side. 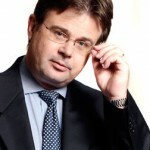 All show why Eric Miyeni’s is an unmistakeable voice in the South African media. Alternately hard-hitting and personal, rousing and funny, Here Comes the Snake in the Grass is an entertaining and informative look at the South African cultural landscape. Eric Miyeni is an actor, writer and filmmaker. He is best known for his roles as Darryl Malgas in the tv series Molo Fish and as Absalom Khumalo in the movie Cry, the Beloved Country. 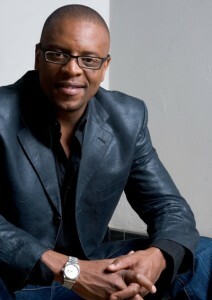 He has written four works of non-fiction, including the bestselling The Only Black at a Dinner Party, and a novel, The Release. 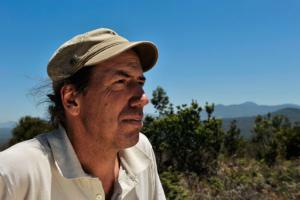 In 2010 he produced, co-wrote and co-directed the documentary Mining for Change: A Story of South African Mining. He lives in Johannesburg.